Around this majestic Cistercian abbey lies another world, full of colour and fragrance. The whole family can have fun while learning about the many different species (over 5,000), with help from enthusiastic professionals who are sure to inspire you with their love of beautiful plants ... you'll end up wanting to eat some! Indeed the menu features tasty dishes based on garden flowers. Extra fun to be had for children with the intriguing ladybird larvae! 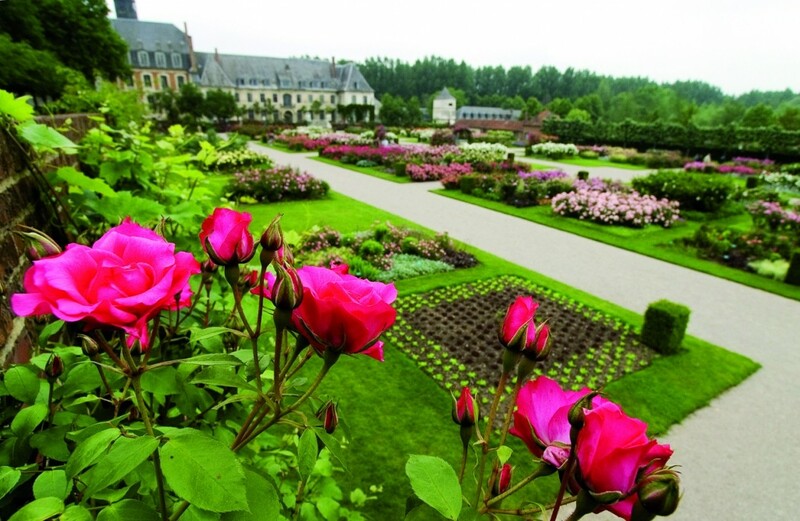 Charm and be charmed by these poetic gardens which will awaken your 5 senses. You're sure to delight in the birdsong, the multitude of colours and fragrances... enchant your loved one with an unusual and sophisticated dish based on flowers, lovingly prepared by the chef. Looking for an unexpected way to declare your love? The garden peacocks can form a lovely rustic setting! 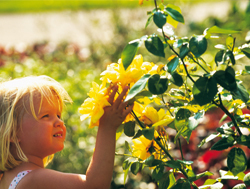 Situated in the heart of Authie Valley, Valloires Gardens offer a collection, unique in France, of 5000 species and varieties of rare shrubs. The leafy setting of the botanical park was designed so that the general public could explore and appreciate the riches of the plant world. 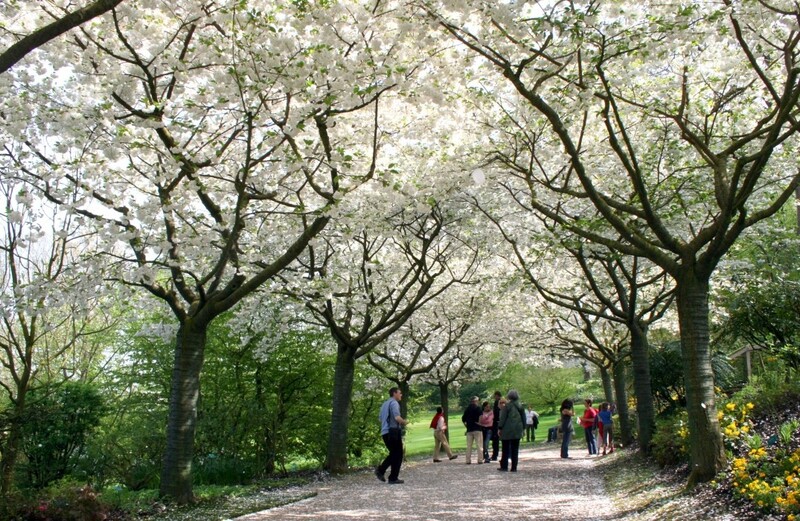 Throughout the seasons, in over 8 hectares of land, discover the splendour of the cherry trees in bloom, the elegance and perfume of the thousands of roses (including the Rose de Picardie©), the luminous colours of autumn, not forgetting the "interactive" garden of the 5 senses for children. 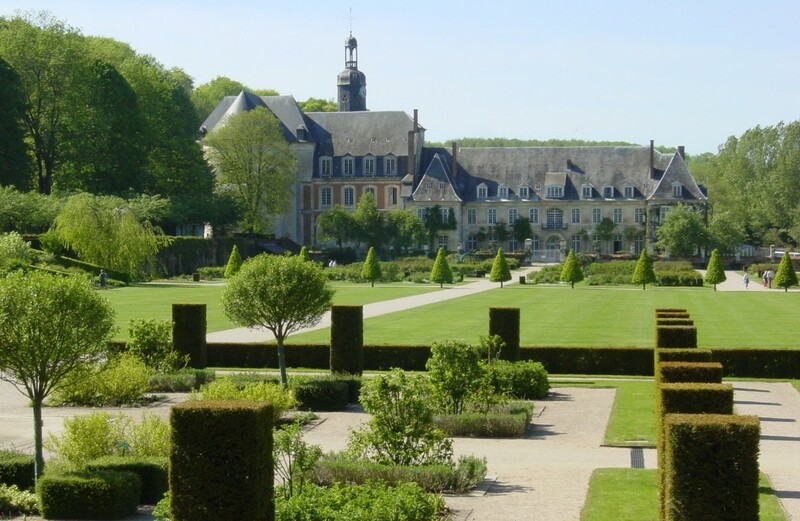 The Great Evolution Garden is the first of its kind in France: come and explore the life of plants from time immemorial!